Google dives into the future with a focus on A.I. MOUNTAIN VIEW, Calif. -- With much of what Google announced during the first day of its I/O developer conference focused on helping users answer questions before they even think of them, artificial intelligence is proving critical for the company's strategy. "Google is betting the farm on artificial intelligence (A.I.) and they need to because Microsoft and Facebook aren't too far behind," said Patrick Moorhead, an analyst with Moor Insights & Strategy. "A.I. will determine the next-generation experience with all electronics. It essentially predicts what users want before they know they do. A.I. is the next big frontier, and Google has always been a pioneer in A.I." 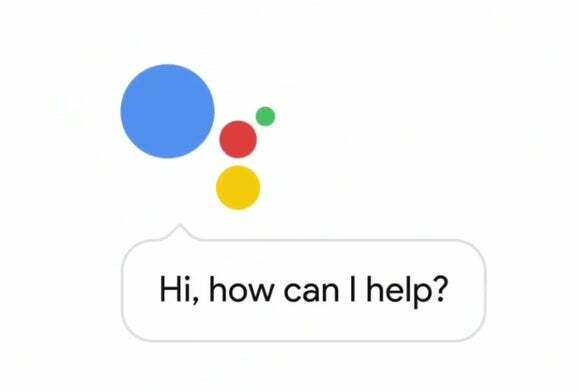 During the keynote speech on Wednesday, the company unveiled several upcoming products, including its Google Assistant, Google Home device, the Allo chat app and the Duo video chat app. What all these products have in common is that they're fueled by A.I. "This is a pivotal moment in where we are with the company," said Google CEO Sundar Pichai during the keynote. "It's not just enough to give people links. We need to help them get things done in the real world. We've been laying the groundworks for this for many, many years." What Google is doing is extending the whole idea of search. While the company, which is now known as Alphabet, has gained attention for developing autonomous cars, computerized eyeglasses, Internet-connected balloons and smart contact lenses, it is Google's search engine that pays its bills. The company also got its start in A.I. with search. Now it's trying to advance A.I. technology to take search to the next level – with a home device that offers a new route to work after it tells you about a traffic jam, and a chat app that offers suggestions on how to reply when a friend shows photos of her new dog. "We've spent the last decade building the next generation," Pichai said. "This isn't a sudden new focus on A.I.," Gottheil said. "In fact, you could say that Google was founded on A.I., if you adopt the modern definition, which is using data and algorithms to make your products seem intelligent. They've crushed it in search from the beginning by seeming smarter than their competition." Now Google is using A.I. as well as machine learning to improve a broader scope of products. "Why wouldn't they?" asked Gottheil. "Google has more data about human interactions with computing than anyone in the universe. Google sort of began with using A.I., but now it's using it to find you things you didn't necessarily ask for, like someone offering you a towel when you get out of the pool. That's smart." With this technology, Google also could help enterprises trying to cull through the flood of data they are building up in their clouds. They have enormous amounts of data, but haven't figured out what to do with it. "With machine learning, we are barely, barely, barely scratching the surface of what is possible," said Rajen Sheth, a product manager with Google Enterprise. "Think about the data that enterprises have and what they need to do with it to be effective … It's about making sense of the data and patterns that no human could see. Machine learning lets you do that. It can find relevance where no one can manually see relevance." With so much focus on artificial intelligence, Google showed that it is focused squarely on the future, said Brian Blau, an analyst with market research firm Gartner. "I think they're positioning themselves as a key competitor," he added. "Google has been pushing machine learning and A.I. for quite a long time now. I'm not surprised to see they're advancing those technologies one more step. That was maybe the most expected thing today because they've had a track record of wanting to be a leader in that market." But is Google a leader in this area? According to Moorhead, Google is ahead but not by much. "Google is slightly leading Microsoft, which is leading Facebook," Moorhead said. "Google has TensorFlow, the most used A.I. tool, but Microsoft has better developed A.I. APIs. Facebook is in a world of its own but behind." This story, "Google dives into the future with a focus on A.I." was originally published by Computerworld.